Spyro has been around for quite some time now and since his incarnation on the PlayStation, our little dragon has come a long way. 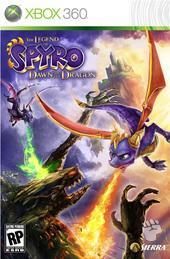 Although our colourful and fire breathing dragon has had a few ups and downs in his career, Spyro Dawn of the Dragon is the latest title of the franchise which not only pays homage to the original premise but also takes the franchise onto the next evolutionary stage. Continuing from the previous game, Spyro has teamed up with his nemesis Cynder who are about to liberate the world from the Dark Master Malefor. Ironically, the current story has undertones of the Lord of the Rings trilogy and considering that Elijah Wood who played Frodo in the movie also voices our little dragon, it's a little ironic, although in a good way. In its essence Spyro Drawn of the Dragon is your classic arcade game that has the gamer solving puzzles, quests and of course a healthy dose of combat. The fun part of the game is flying through the interesting gaming environments that younger gamers will simply adore. 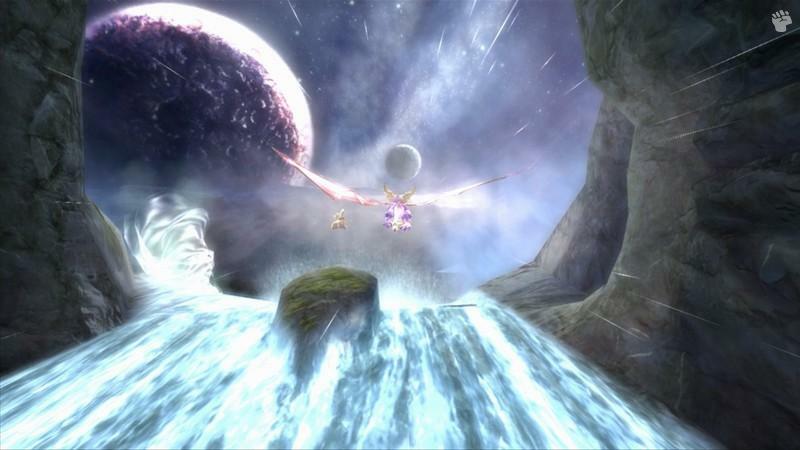 The catch to this game is that both Spyro and Cynder are connected via a cursed magical chain and in single-player, you can swap between both characters. The AI of Cynder or Spyro is ok, however if you want to spice things up, why not try to play the game with another player which makes things quite more enjoyable. 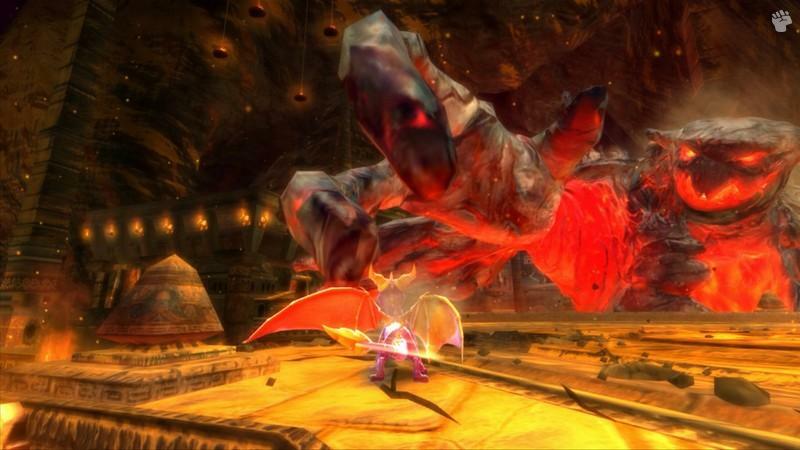 The combat in the game allows you to perform a variety of attacks from melee to elemental powers. You can also guard against attacks and perform a quick roll to evade them plus the option of grabbing some of your smaller foes. At times, it feels like there is an unending line of enemies coming towards you and as you progress do do the enemies which become more powerful plus the odd boss battle here and there. The boss battles are frustrating as you need to work out what tactics work and what don't which means you'll may need to repeat these battles due to trial and error. 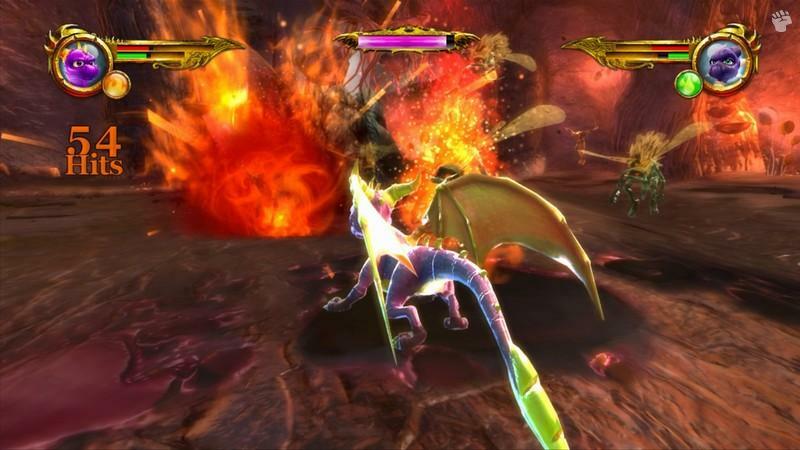 The fun part of the combat is that Spyro and Cynder have four elemental powers to use which creates some interesting battles as you fry and freeze your enemies. Of course, Dragons also have the ability to breathe fire so enemies beware! Graphically, Spyro is a visual treat on the XBox 360 with an amazing colour palette and some truly detailed environments. The characters are all well animated and match that with some decent special effects and lighting and this is a rather impressive looking game. The most annoying aspect of the game is the camera angle which does become annoyingly frustrating at times. Musically, the score suits the genre perfectly that changes with the gameplay. Elijah Wood is great as Spyro as is Christina Ricci as Cynder who really get into their characters. My favourite is of course Mark Hamill as Malefor who really goes over the top for his character. Definitely one of the better games when it comes to voice acting. In conclusion, this game is on the mark for the fans and will take the average gamer around 10 - 15 hours to successfully complete. Great visuals and music, the only downside of the game is the sometimes mediocre arcade aspects, however fortunately these are far and few and with this in mind, the game is targeted for the younger gamer.